Small promotional items are a perfect way to say “Thank You” to current and past customers, as well as to encourage future business. The product you choose can make your name and message stand out or turn your efforts into wasted advertising dollars. Most promotional items receive limited use or fall apart quickly or, at best, offer short-term exposure (even a calendar ends in a year to 18 months!). In looking for “the most BANG for your buck,” so far we haven’t find a better long-term promotional advertising vehicle than our unique magnetic 3-in-1 easy cans & bottle opener. From sports drinks and bottled waters to refreshing sodas and favorite beers, who doesn’t need (and who won’t use) a quality bottle opener practically everyday? Does this keep your advertising message in front of your intended audience? You bet it does! Better yet, when not in use, you can expect that the opener will be stored, via its magnetic back, on the refrigerator door — with your name in full view to everyone all of the time! What else can provide 24/7 exposure for you for years to come? 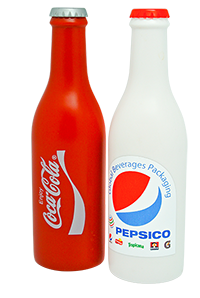 Because of the bottle design of the Open Sesame opener, the curved surface is ideal to accept a 2″ wide by 2 1/4″ deep printed label — a good amount of room for your logo, name and message. 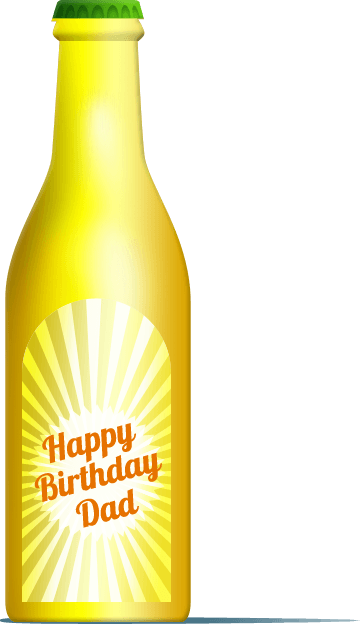 Your label will be printed on vinyl stock with water resistant inks for LONG durability. Design you message to fit within the 2″ X 2 1/4″ label boundaries and send us camera-ready copy. (JPEG and PDF Photoshop file in Layers are Ok) OR have our professional team help with your design. 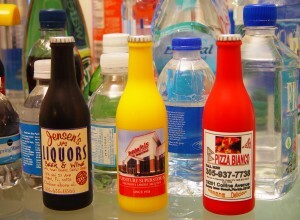 Prices (below) include 4 color (full color) printing and bottle labeling. Your customized bottle openers arrive complete, ready for your use. Promotional products have a one-time set up fee of $40.00. Decal size is 2″ height by 2 1/4″ width. Full color decal price is $0.48 each. Regular order processing time is 20 working days, after art has been approved. HR Logo/art is require in 300 dpi PSD clear. Available colors are black or yellow for regular orders. Special orders can be made with any color of choice, but will have a 4 month production time. Large orders will have a 4 month production time. 31 pcs. – 60 pcs. 61 pcs. – 120 pcs. 121 pcs. – 240 pcs. 241 pcs. – 720 pcs. 721 pcs. – 1200 pcs. 1201 pcs. – 2400 pcs. 2401 pcs. – 3500 pcs. 3501 pcs. – 5000 pcs. 5001 pcs. – 10,000 pcs.